Assessment is where teachers check children's understanding during daily lessons, or through a test, to work out where they are secure and where they need more help. By doing this, teachers can work out the next steps in children's learning. Also where necessary, teachers can intervene and explain things in a different way, to help children understand. Tracking is where we record children's assessments each term, to keep track of their progress in reading, writing and maths. We check each child's attainment (how well they are doing for their age) and their progress (how well they are doing based on their previous results) to make sure they are achieving their potential. This means we can pick up if they are falling behind and work out how to help them get back on track. We can also see which children need targeting to push on further. It is our aim that all children should make expected progress and that as many as possible should exceed this. We believe that achieving academic success is crucial; we also believe that the development of personal qualities as defined in our Core Values is crucial. It is our aim to achieve the best of both, remaining mindful that, "Not everything that counts can be counted and not everything that can be counted counts." When the National Curriculum was published in 1988, this was the first time that the government had published a common curriculum which all schools had to follow by law. This was organised into levels and these were broken down into sub-levels (e.g. 3a, 3b, 3c etc.) to measure how well children were doing. 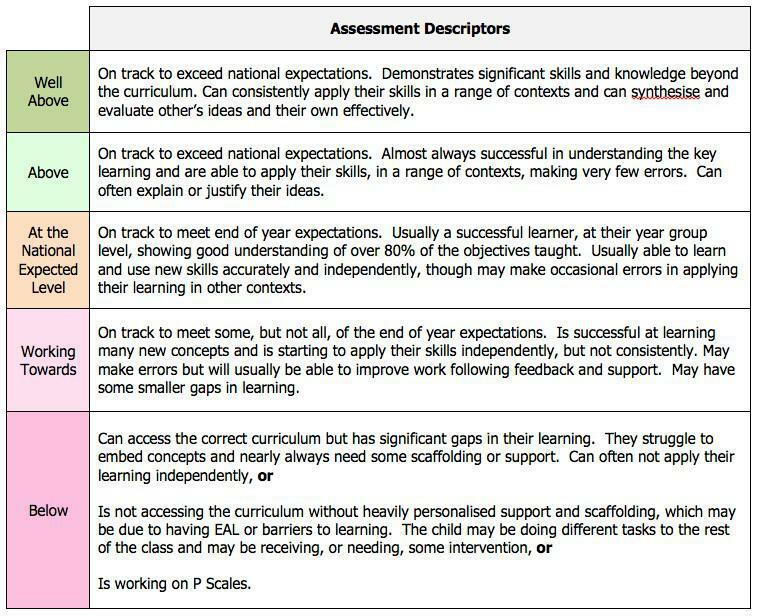 Although parents sometimes found that it took a while to become familiar with the levels, the system meant that different schools were using a common 'language' when it came to assessment and this was helpful. The National Curriculum was reviewed, updated and rewritten for September 2014, bringing many changes and improvements. However, one of the most significant changes has been the removal of levels. It is now left to schools to decide how they will measure children's progress. This means that during the last school year (2014/15) schools started to decide how they will report assessments without the levels previously used. The most important thing is to establish what we would expect from children in each year group. From this we can then work out who is working below, at, or above the expected levels and we can monitor their progress. Our view at Bagthorpe is perhaps best illustrated in our diagram below. Although there is still much to finalise, this shows the principles of our approach to assessment, based on three broad categories within each year group. Once children move beyond the 'expected' stage and into the 'exceeding' stage, rather than automatically moving onto the work for the next year group, they will 'dig deep' that is to say they will be challenged to deepen their understanding and mastery of their skills be applying these more widely to gain a firmer foundation. We think that this will work well, in a similar way to the Book Bands, where those children who spend more time on a stage, rather than moving on too quickly, often make better progress in the long term, because they have developed secure confidence as readers. Another viewpoint, is that those children who are working well above their age will really need to access some of the work from the year above in order to stretch them. Whilst we intend to move forward with the 'dig deep' approach, we think that there will be times when we need to 'dip' into the year above in order to provide adequately challenging work for our higher attaining children. This area is identified as a key priority in the School Improvement Plan and we will keep parents updated as more information becomes available. Since the last entry above, we have moved forward significantly towards an assessment system that clearly informs, children, teachers, parents and governors. We all want to know how well children are doing for their age (age-related expectation) and we also want to know how well they are progressing, that is to say, are they keeping up well enough, or doing even better than this? We are not using a ‘points scoring’ system, which can become confusing; instead, we have tried to use plain, clear language, which makes sense to everyone. This means everyone can be clear about how well children are doing. Please see the table below for a breakdown of the five different categories and an explanation of what they mean. 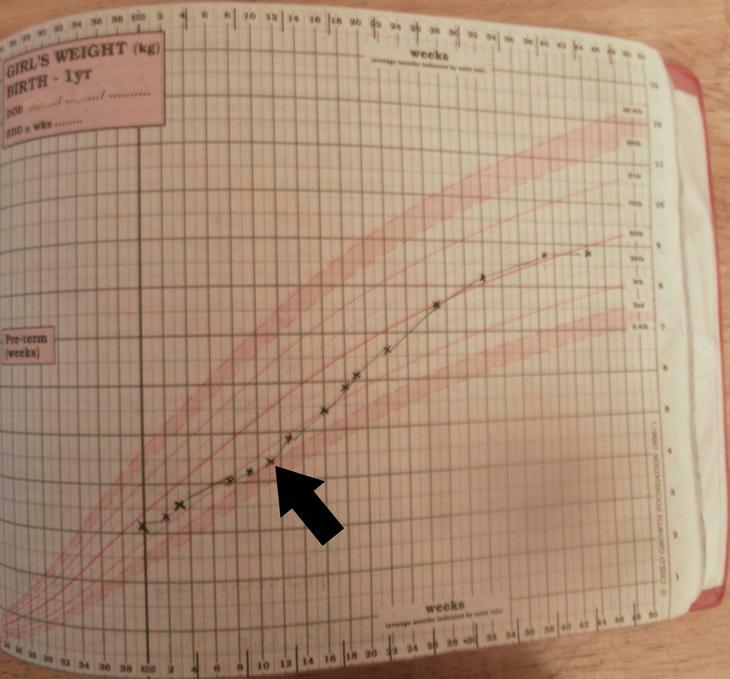 Most parents, will be familiar with the chart that health visitors use to keep track of baby weight and growth development. Regular checks pick up if this progress falls below where it should be and action can be taken to correct the situation. In the future, we will be able to do exactly the same with children's assessments by measuring their progress between two points in time. This means we will be able to see whether they are progressing at the same rate, speeding up or slowing down. We can take the necessary action to address this. Our priority at the moment is to keep a close eye on where your child is in relation to their age and to make sure that we are correctly identify the things they don’t fully understand and work our the right next steps in learning to help them make the best possible progress. If you have any questions or concerns, please do not hesitate to have a word with your child's class teacher.